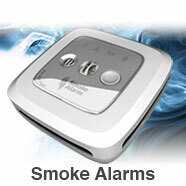 Our wireless technology, exclusive to the Crossfire Alarms, is the cornerstone of our products. This proprietary system automatically links each alarm to a unique and localized home network. 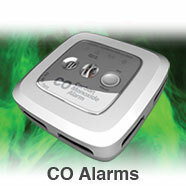 The Crossfire Alarms communicate on their own state-of-the-art radio frequency. If a fire is detected in one room, all alarms will sound providing you and your family advanced early detection for a quick escape. Experts agree that when it comes to a home fire, a smoke alarm is your first line of defense. 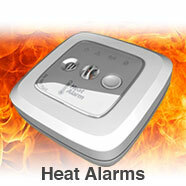 But there are different technologies and numerous problems with the existing alarms in most homes. The root of the problem is a deadly misconception that a smoke alarm will always work and that the smoke alarms that came with your home is all you need to get you and your loved ones out alive. This is why Crossfire uses tomorrow’s technology for today’s home. We built the best smoke alarm available — one that goes against the conventional thinking in an industry driven by low cost. When it comes to the lives of the families we protect, we are the Rolls Royce of smoke alarms.